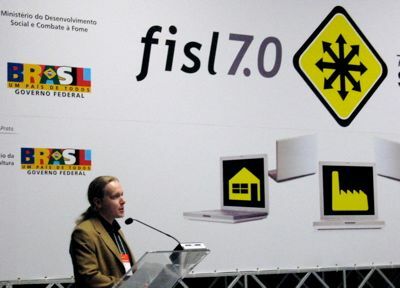 I will be flying to Foz do Iguacu tomorrow for the LatinoWare 2006 conference. My talk on Digital Business Ecosystem is scheduled at 2pm on thursday the 16th. 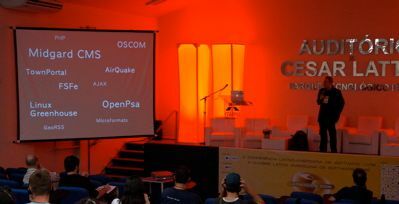 As I’ve already given two earlier talks on DBE in Brazil, I will this time skip most of the politics and focus on how DBE can make everybody in the business of free software happier. Notable changes include switching to a more easily browse-able format from the old giant wiki page, using the new single-click install format and automatically linking all wiki pages tagged with application’s name to the application page. Updated 2006-11-15: My talk has been rescheduled to 3pm.